The premise of this exceptional little book is that through life in Christ, empowered by the Spirit, God’s people can surprise the world by living missionally, so that “all that we do and say alerts others to the reign of God.” In this book, Frost, a leader of international missional churches, does not separate worship, discipleship and evangelism. Out of a heart of worship and in response to God’s redemptive work, Frost asserts, God’s people can Bless others, Eat together, Listen to the Spirit, Learn Christ and understand themselves as Sent by God into others’ lives. Frost calls this the BELLS Model. Pastors will love this book because of its great preaching material, and the BELLS model can easily be integrated into the life of any local church. 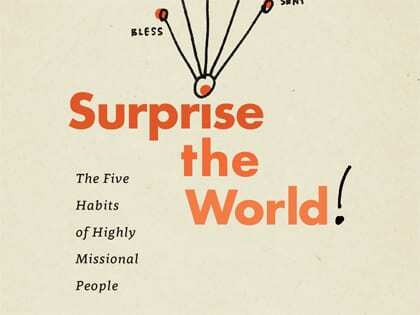 Southeastern Seminary President Daniel Akin and Southeastern Seminary Provost Bruce Ashford wrote a helpful book that will equip the everyday follower of Jesus to participate in the mission of God at home and internationally. In Empowered, a seven-session course, everyday followers of Jesus are clearly taught the content of the gospel, the motivation for why God’s people are to share the gospel and how to excel in relational evangelism. EVALUATED BY DERWIN GRAY, founding and lead pastor of Transformation Church in Fort Mill, South Carolina, and author of several books, including The High-Definition Leader and Crazy Grace.